For those who suffer from allergies, the sneezing, itchy eyes and sore throat don't necessarily stop indoors. Common allergens such as dust, car emissions, mold, fungus and pollen are small enough to fit even through the tightest of spaces. Pets in the home or smokers nearby can additionally exacerbate the symptoms of allergies. Here at Filter Shipping, we carry a full line up of allergy filters for your home's furnace, air conditioner and air cleaner. 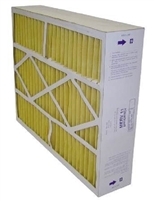 Our MERV 11 allergy air conditioner filters are great for basic allergy needs. MERV 11 filters can trap particles from 3.0–1.0 microns in size. Common allergens that small include mold spores, dust, pollen and pet dander. MERV 11 filters can also trap bacteria. Step it up to MERV 13 if your allergies range above average, and a MERV 15 or MERV 16 filter if you want to trap super-fine particles that include smoke from wood fires and cigarettes, insecticide powders and smog. 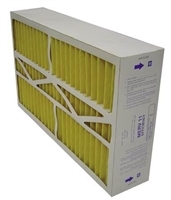 To ensure your system is capable of handling one of our allergy air filters, contact us!